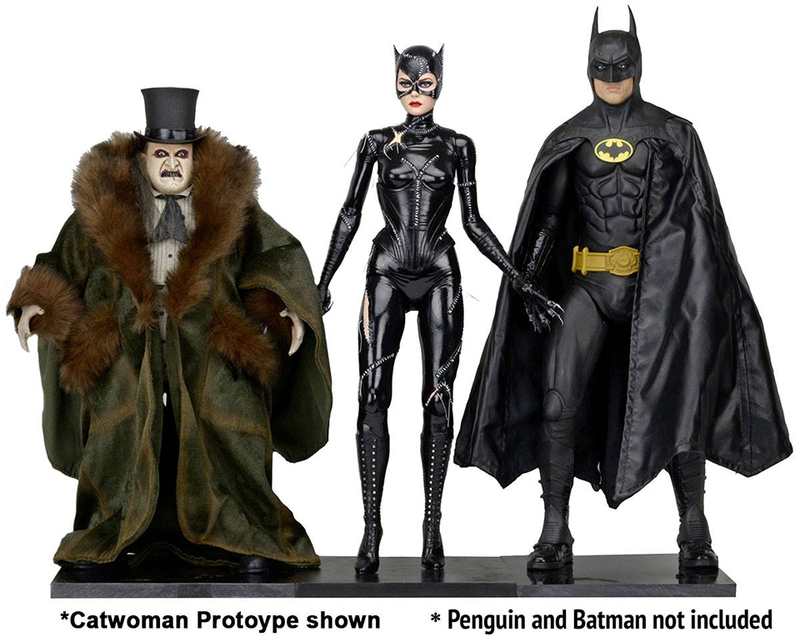 NECA follows up its quarter-scale Tim Burton Batman and Penguin with Batman Returns’ other main villain. The Catwoman action figure has 30 points of articulation, interchangeable hands, a Taser, a whip, and two heads, one disappointing and the other also disappointing. Seriously though, I get that it’s hard to make great head sculpts, but I think it’s easy to look at these close up shots and wonder, “Man, maybe we shouldn’t post these.” Granted this is a prototype in the picture so things could change. And they should be changed. You can pre-order it now from BigBadToyStore for $105 (USD).